The growing popularity of online retailers calls for products that can be easily shipped. 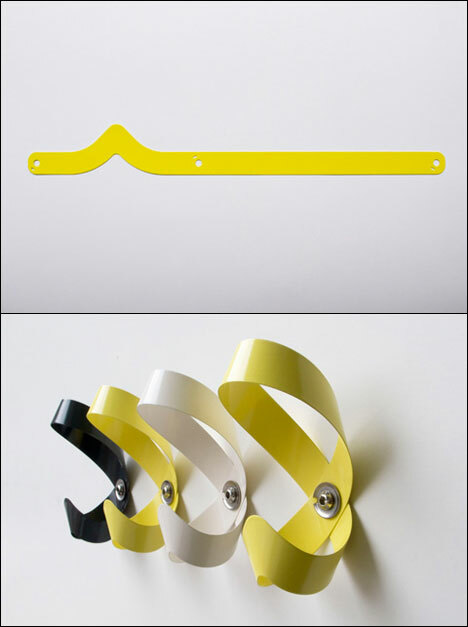 A simple metal strap with an unimpressive winding off can be transformed into an elegant double loop, held together at the intersection and mounted to the wall with a standard screw and washer. 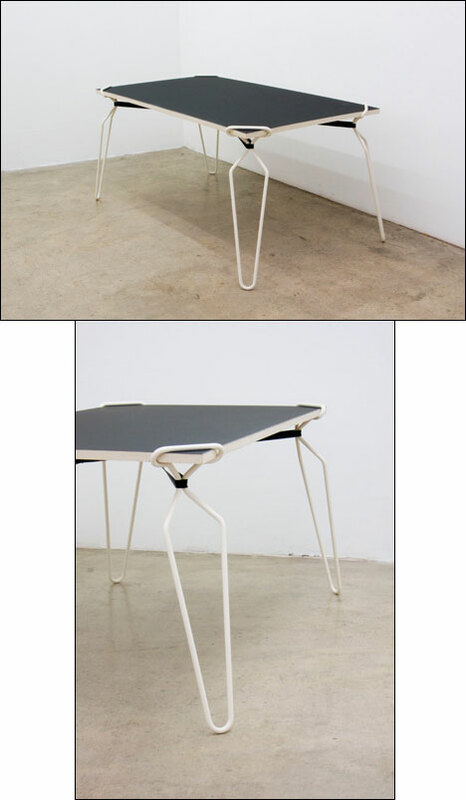 Metal frames are put over the edges of a tabletop and contracted with lashing straps creating a highly solid linkage. Other than conventional trestles it causes a table with an unitary look. It is designed to work with any table format and for tabletops dimensioned at 24 to 30mm thickness. both designs are very simple and clever!